The CBPP® is unique in our rapidly changing market place. This certification has been developed by and for BPM practitioners. It is the first independent professional examination and certification program in the area of BPM. 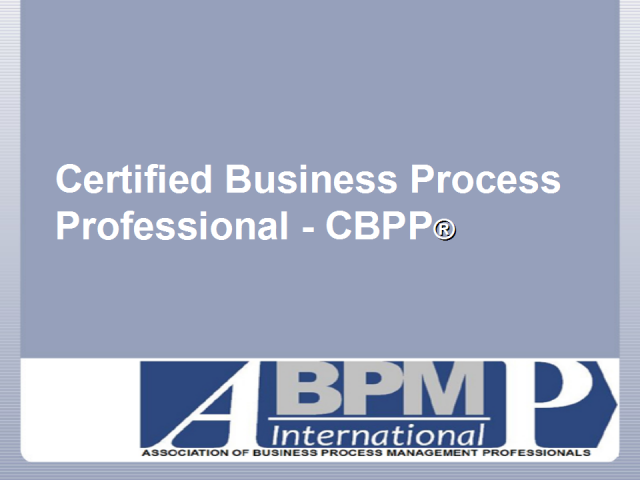 CBPP® has been designed to comply with international certification standards and is now the internationally recognized standard for BPM professionals. The Association of Business Process Management Professionals International is a non-profit, vendor independent professional organization dedicated to the advancement of business process management concepts and its practices. ABPMP International is practitioner-oriented and practitioner-led.